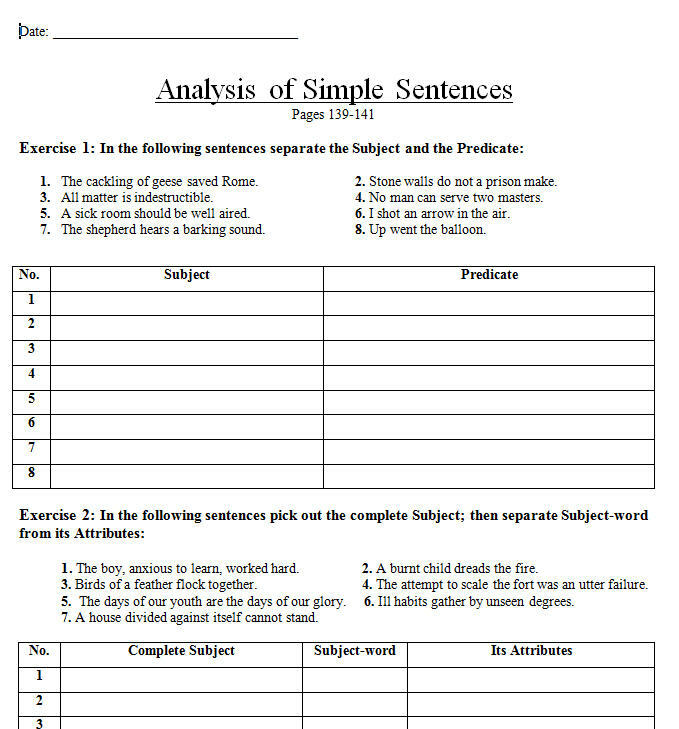 This worksheet is about the analysis of simple sentences. Identifying the subject and the predicate,to pick out the complete subject, subject word and its attributes. It also includes the adverbial qualification practice exercise. 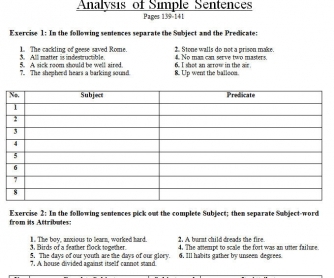 This worksheet provides a good drill for understanding simple sentences.